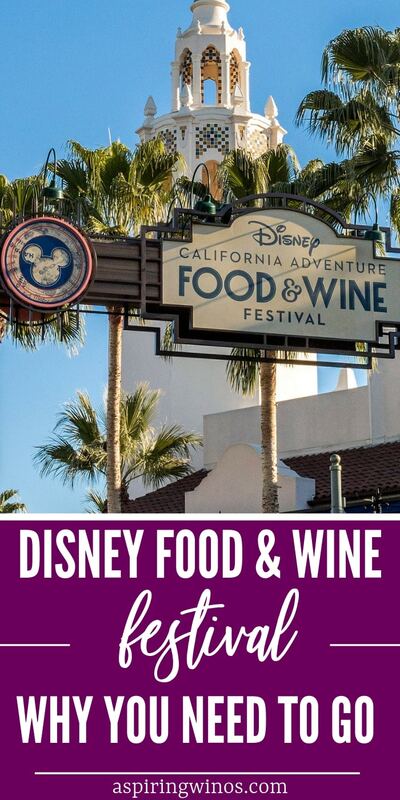 Disneyland’s California Adventure park features the Disney 2019 Food & Wine Festival (March 1 to April 23), returning for an extended 54 days of fun in the sun with some of SoCal’s best gastronomic offerings. On the menu is a variety of celebrity seminars, demonstrations and a never ending selection of food and beverages you won’t find anywhere else! There’s no better venue than the ‘Happiest Place on Earth’ to experience a hand picked selection of beer, wine, and spirits. We’re going to dive into some of most delectable selections on offer. The Food & Wine festival brings out the best of the sounds, flavors, and drinks the Sunshine State has in store for visitors. Locally sourced ingredients paired with the signature laid-back and fun loving Californian way of life creates a magical experience you’ve got to see and taste for yourself. We’re going to take a bite into some of the bites and beverages that make this event one worth visiting for. If you’ve ever wondered “can I bring my own food to Disneyland?” then this festival is for when you want to splash out, having saved already! Wine lovers will find themselves on cloud nine with an array of tastings and events catered specifically towards their tastes. 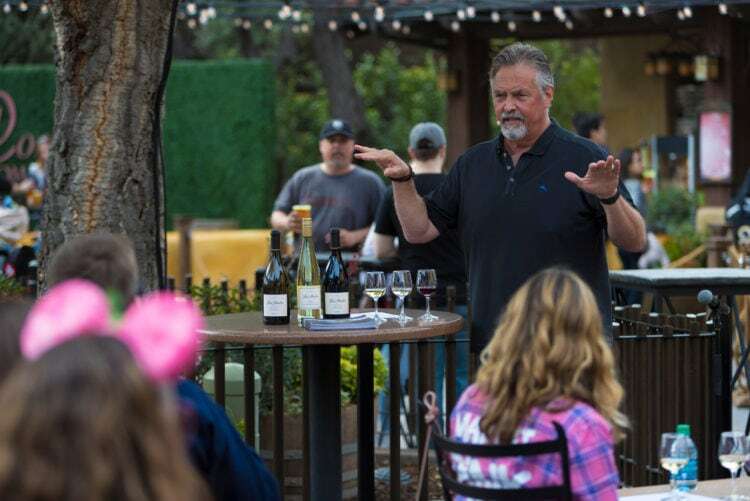 Education and tasting seminars will enhance the traditional wine tasting experience paired with the backdrop of a truly magical Disney resort experience. 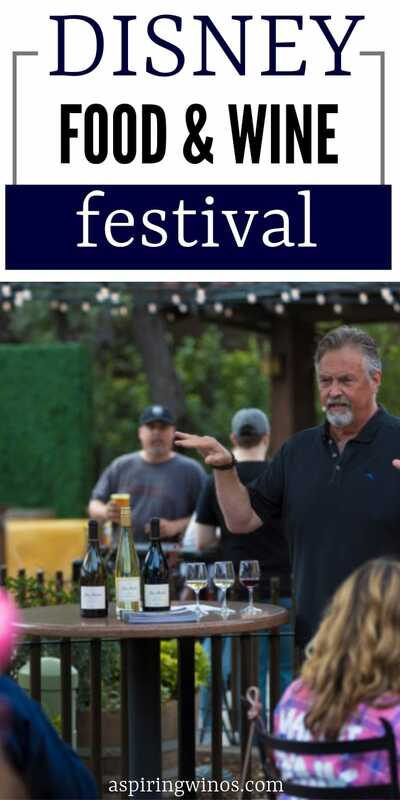 MacMurray Ranch Vineyards and Silverado Vineyards will spotlight some of the best grapes on offer in a personalized experience. A one of a kind reception will introduce guests to what the SoCal region has to offer. Guests will book reservations to experience a guided tour of the pairings and profiles of the wine being showcased. Beer, Spirits and Cocktails oh my! Wine isn’t all there is to sip! Disney is featuring a selection of cocktails, locally brewed beer and some really magical spirits for you to dive into. Handcrafted and gourmet cocktails have gained a lot of popularity in recent years. Wooing your friends and family with different recipes and flavors is more important than ever. Expand your mixology lexicon and experience some new concoctions this year in the California Adventure park! A Meyer’s Lemon Ginger Mule will put a spin on the much loved copper clad cocktail that’s become a home bar staple, the Moscow Mule. If a Mimosa is more to your taste, you’ll find an exclusive flight with a triple feature of Hibiscus, Tropical and Mixed Berry glasses. Disney parks are advertising an exciting Margarita option for those getting their vacay on. A Jalape-o-Lime Margarita adds some kick to the traditional and ubiquitous boozy slushie! Local breweries will get their chance to shine and show off some of their flavors to guests as well. A Cauliflower Ceviche with Chile Corn Crumble compliments visitors with its garden fresh flavors. Meanwhile, a Ghost Pepper Mac & Cheese entices guests with a deviously spicy profile that really puts the Adventure in California Adventure. 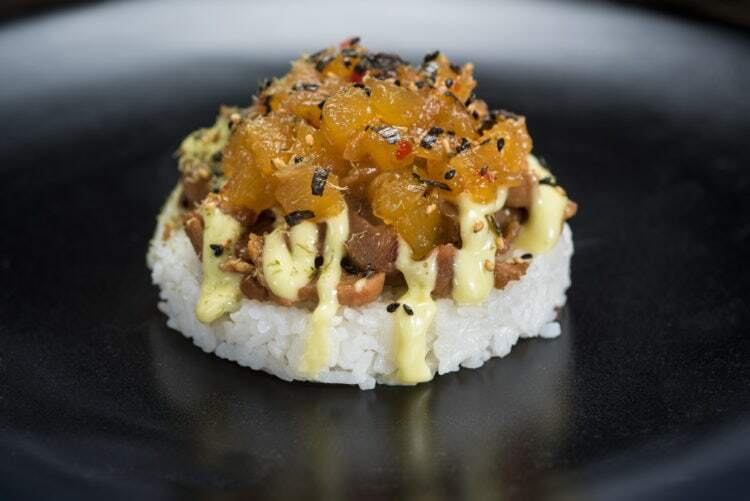 Deconstructed Teriyaki Chicken Musubi celebrates a truly Californian flavor combination. And lastly, a Chocolate Crunch cake commemorating the festival designed by Disney’s very own world class chefs provides a sweet treat to round off a magical day. This is just the tip of the iceberg, a whopping 15 booths featuring various flavors, ingredients and menus each with their own individual offerings. Festival favorites, such as Nuts About Cheese, Uncork California, and California Craft Brews will be must-sees for the amatuer mixologist. Not only are the menus more reasonably priced than you might have expected, but their selection has grown from recent years. 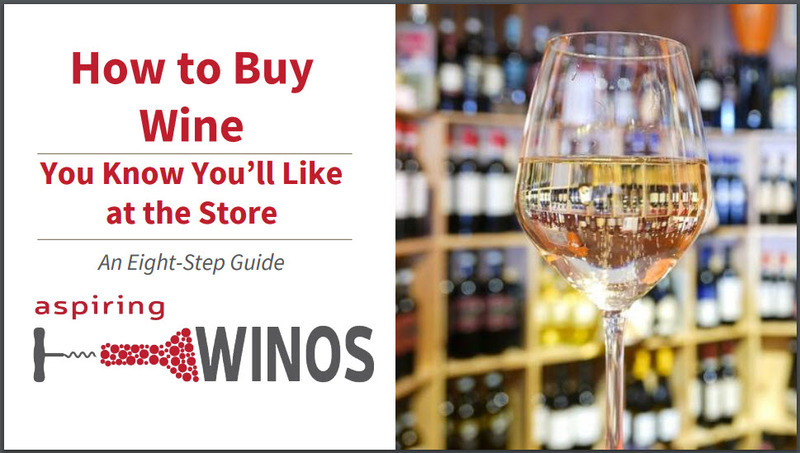 Wine, Mimosa and beer flights can be found at several of these Marketplace locations. California Artisan cheese tastings are also a beloved annual fixture. One can hardly imagine a more family-friendly environment than a Disney park. Disneyland’s California Adventure makes the tasting experience accessible to the whole family with a wide variety of non-alcoholic drinks. Disneyland California Adventure is also advertising a series of family-friendly seminars presented by Chef Daniella Malfitano who emphases the bonding qualities of meal preparation. A Junior Chef Experience hosted by none other than Chef Goofy himself gives young children the chance to make their very own treat in the Hollywood Land area. Disneyland, true to Walt Disney’s vision, creates an atmosphere welcoming to all ages. The Disney 2019 Food & Wine festival is no exception. Don’t Forget about the Exclusive Merch! 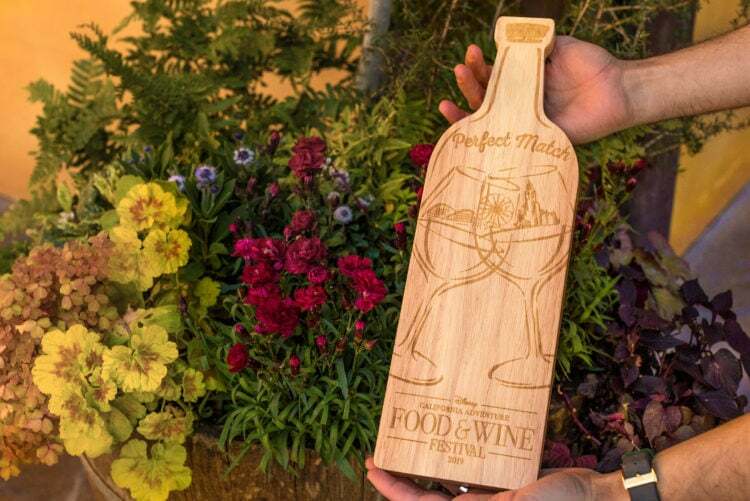 If you needed any other reasons to check out Food & Wine 2019, look no further than the merchandise on offer. For a limited time only, DCA is offering some really eye-catching festival swag that you don’t want to miss out on! Amatuer sommoliers will have their heads spinning over the exclusive Disneyland California Adventure themed cutting board which comes in the shape of a wine bottle; perfect for your favorite charcuterie. Disney fans know to keep an eye out for limited edition Minnie Mouse headbands, a signature piece of Disney merch. This year a purple band and bow with a hand-drawn chef Mickey print and pair of golden cutlery celebrate the festival. Wine lovers won’t miss the elegantly designed Food & Wine festival wine tote, perfect for taking your favorite bottles out on tastings, picnics or dates. A gourmet loving classic Mickey commemorative Tee also makes an appearance. 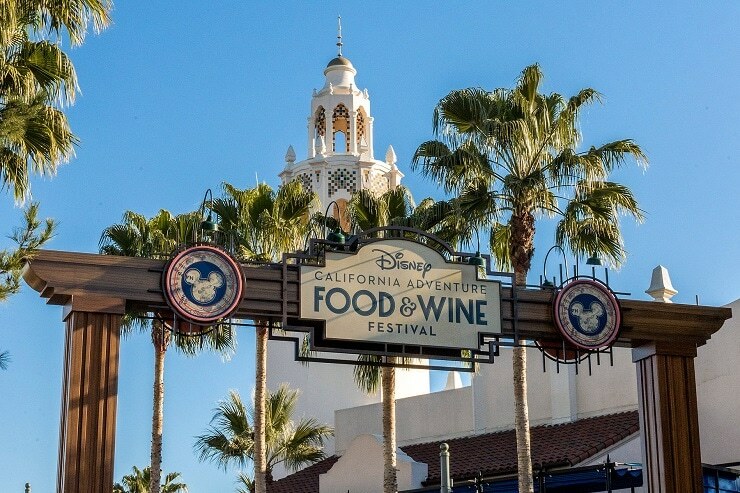 The 2019 Disneyland Food & Wine Festival runs from March 1 to April 23. Park admission is required to access the festival vendors, some receptions and seminars are reservation only.